Daniel Neiditch is a leading real estate expert in New York with a passion for providing personalized customer service and helping people find new, exciting opportunities. Neiditch is the president of River 2 River Realty, Inc., a premier real estate agency that helps people buy, sell, rent, and manage properties across New York and beyond. He has devoted his life to directly connecting with people, understanding their concerns and their goals, and helping them build their lives. In addition to his real estate expertise, Daniel Neiditch is actively involved with charity work and actively seeks out new ways to help people get ahead. Daniel Neiditch believes in helping people who cannot help themselves. He cares about and donates to a number of different causes, and the majority of the organizations are devoted to children. Neiditch aids children who have suffered abuse, and he contributes to their healing processes by finding counselors and therapists who will meet with them and help them work through their struggles. Neiditch also devotes significant philanthropic efforts to funding the basic medical and personal care that every child deserves. He provides financial donations to children who need lifesaving organ transplant surgeries, and regularly meets with doctors to help them with medical supply needs. Neiditch also works to provide important resources and outreach options for families with children who have special needs. Daniel Neiditch uses his experience in River 2 River Realty, Inc. and his family’s real estate firm to help those in need as well. He has built his life around the importance of homes, and he understands that a new home can be a totally new start for people. So Neiditch has used his real estate prowess to provide homeless people with apartments to help them get back on their feet. He also contributes to organizations that provide important necessities for the homeless and has personally helped them find employment opportunities. The Clinton Foundation is a driving force in Neiditch’s charity efforts. He is a longtime contributor of the nonprofit foundation, which focuses on health, economic empowerment, female leadership, and combating climate change. Neiditch also participates in nonprofit efforts that provide immediate aid and long term opportunities for people who are trying to rebuild their lives after natural disasters. He is a contributor to the Clinton Bush Haiti Fund, which was initially founded in response after the destructive earthquake in Haiti in 2010, but continues to empower Haiti and improve their economic prospects to this day. Neiditch is also a contributor to the Bush Foundation. 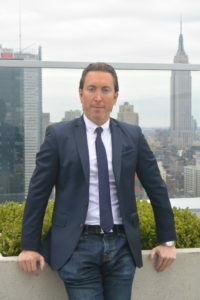 Daniel Neiditch is a member of the Forbes Real Estate council and is active contributor to Entrepreneur and SCORE NYC, the non-profit mentorship arm of the Small Business Association.